Are You Interested in Being a Summer Recreation Leader? 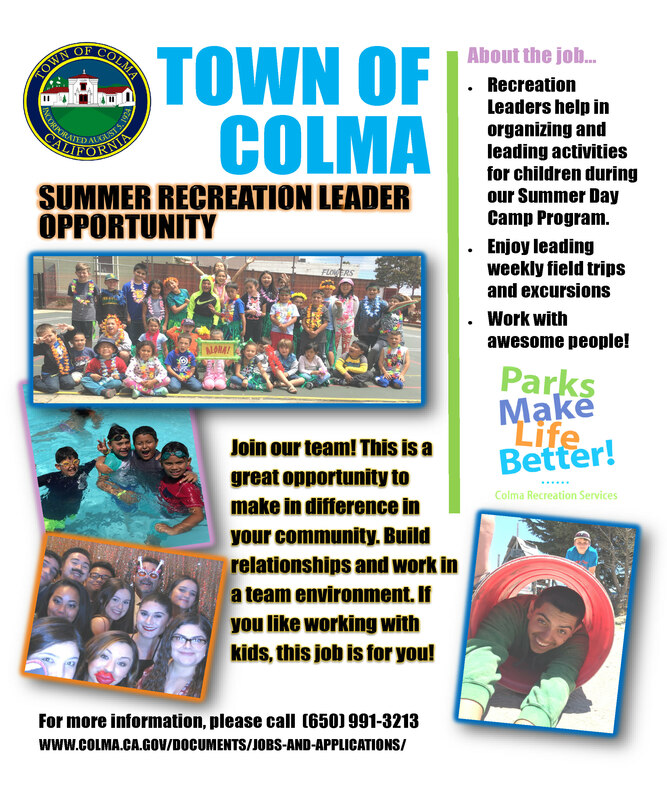 The Colma Recreation Services Department is currently recruiting for summer job opportunities in it’s Summer Day Camp. If you are interested in working with children this summer as a Recreation Leader you should apply today! Mandatory training days will be held on both June 8 and June 14. Newly hired leaders must be available to attend both training days and work the summer day camp program Monday through Friday from June 17 to August 16. For questions please contact Liz Tapia at 650-991-3213.